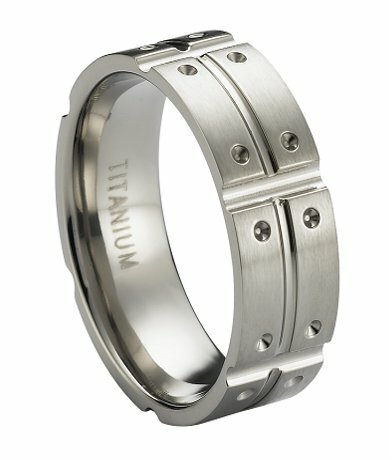 Undeniably masculine, this titanium wedding band for men offers plenty of modern appeal. Satin finish titanium is accentuated with a polished center cut and notches. An 8mm comfort fit band makes this contemporary wedding ring as wearable as it is handsome. Comfort-fit rings should be ordered 1/2 size smaller!